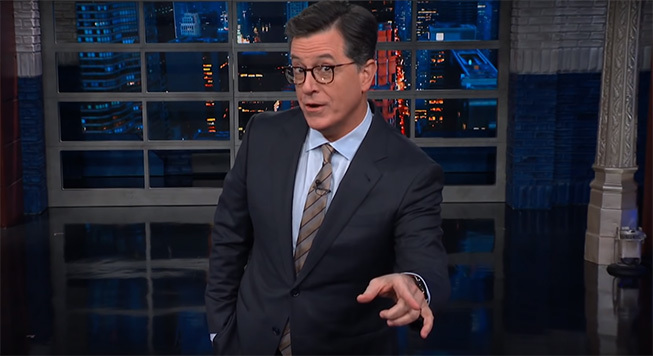 Late-night hosts Seth Meyers and Stephen Colbert took to the teleprompters in response to the investigations surrounding President Trump’s alleged involvement with the Russian government. In their dissections of the basis for the investigation, both hosts highlight Trump’s recent phone interview with Fox News personality Judge Jeanine. Watch Meyers’ and Colbert’s segments below.